Last week was Jonny Appleseed – a name the kids enjoyed saying. 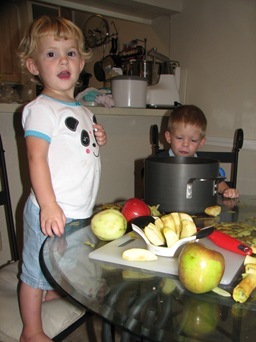 We (mommy) peeled and cut up a bunch of apples to make applesauce. The kids put the pieces in the pot for me. Lance tried his hand at a peeler but couldn’t get the hang of it. 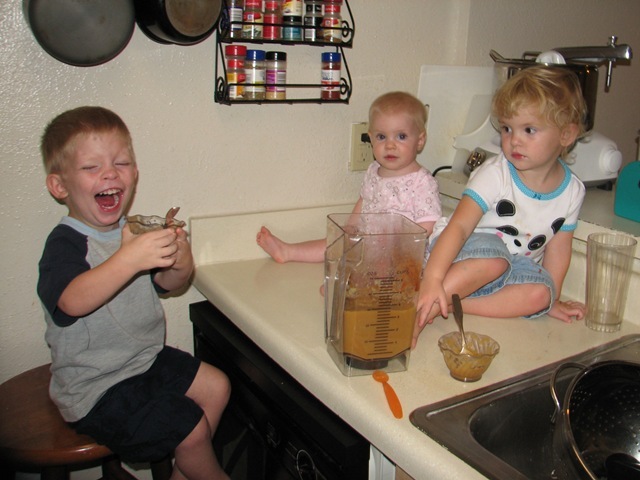 After cooking, we blended them in our fantastic blender (compliments to Brian for finding this one!) added a little cinnamon and enjoyed! Even baby Flora could participate in the tasting this time! 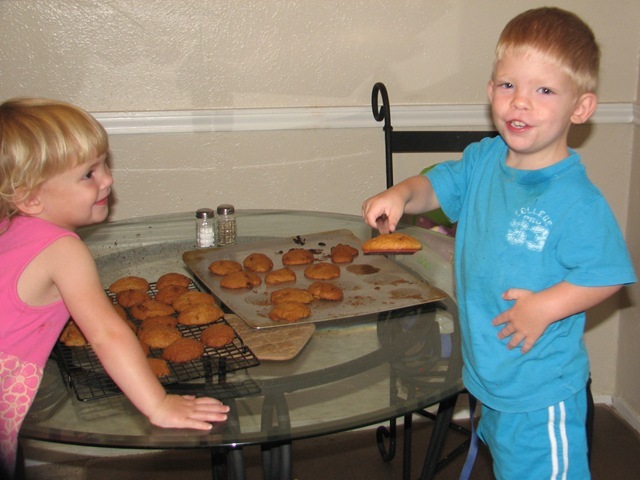 We made applesauce cookies (not with our home made applesauce) and shared them with friends. We also did “apple science” – cutting up an apple, tasting it, smelling it, listening to it, feeling it, noting the different colors inside from outside, examining the seeds. It is now drying on the counter and we look at it every few days. You could compare apple seeds with other seeds and sort them. Or make a poster with a picture of each fruit and then its seeds. Anne’s ideas are good and also wonder if you could plant a few apple seeds in a window pot and get them to come up. Cookies make my mouth water. Yum! Any fun activity is always made better with great food. I’d love to do applesauce in the blender, but mine isn’t strong enough. I could mash it by hand, though. Apple printing is such fun! I remember doing a genealogy chart with apple printing and a tree (made of scraps of construction paper) on poster board years ago.